High quality printed cello rolls available in festive holiday designs. 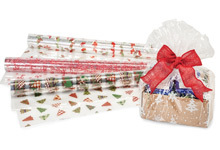 Make your gift baskets & boxes extra cute with printed cello rolls for Christmas, Valentine's Day, Easter, Baby, Weddings & all occasion gifts. 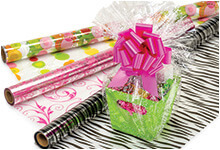 Dozens of printed designs on clear cello for gift & basket wrapping. See our complete line of Gift Basket Packaging. 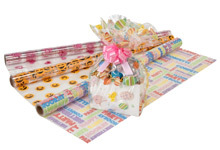 Shop Clear Cello Rolls & Coordinating Printed Cello Bags.